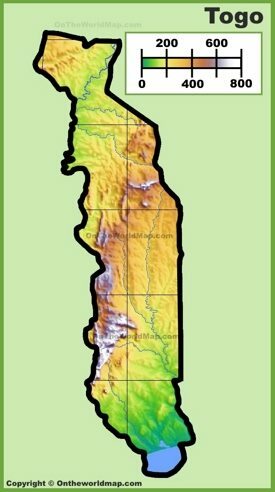 Togo is officially named the Togolese Republic. 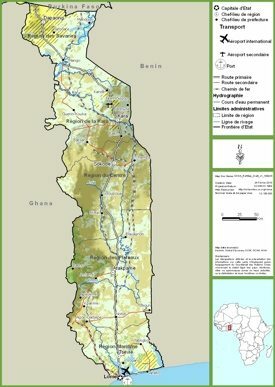 It is a country located in West Africa and neighboring with Benin to the east, Burkina Faso to the north and Ghana to the west. 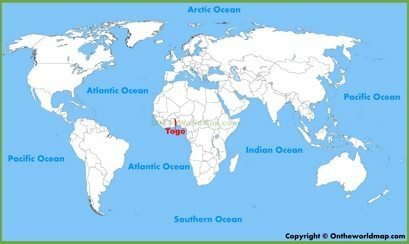 Togo has a coastline in the North Atlantic Ocean. 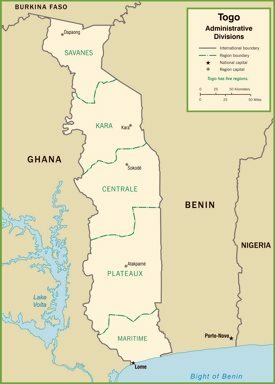 The capital city is Lome located to the south by the Gulf of Guinea. 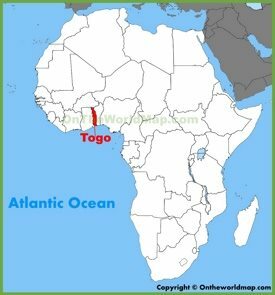 Togo was a French colony and since was very influenced by it. 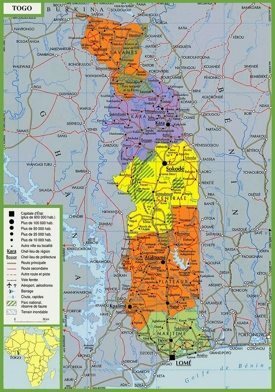 The official language is French and vernacular languages are Gbe, Kotocoli and Kabiye. The country has Tropical climate and very dependent on agriculture. Area: 21,925 sq mi (56,785 sq km). Largest cities: Lomé, Sokodé, Kara.